if you've been following me on my instagram, you know i'm currently vegetarian at the moment. once a year, i give up meat for 49 days in honor of my mom (it's a buddhist thing). the first year, it was a real struggle. food felt drab and no meal was truly satisfying. however, as time went on, i learned how to cook better and find some truly great vegetarian recipes that satisfied all my carnivorous cravings. i thought i would share one of my favorite recipes. usually, this dish is made with crab, shrimp and pork. this version manages to capture the essence of the dish. it's not exactly the same, but it'll do. Ingredients: - 6 cup soymilk - 6 cup vegetable stock - 1 block of tofu cut into 1 inch squares and deep fried - 2 diced tomatoes - 3 ripe tomatoes cut in wedges - 1/2 cup diced pineapple - Enoki Mushrooms - 1 tbs lemon juice - 2 cloves minced garlic - 1 bunch green onions chopped - 1 tbs chili powder - 1 tbs paprika - 1 tbs garlic powder - 1 tbs sugar - 3 tbs canola oil - About 1 tbs salt, black pepper to taste (you can adjust this amount), - 1 lb of cooked rice noodles. Method: In the large pot, bring the 6 cups of soymilk to a simmer. 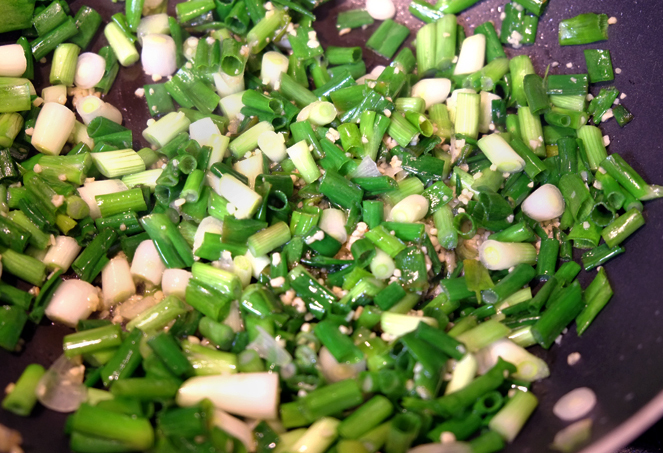 Heat 3tbs oil in a sauce pan and sauté’ the green onions for 5 minutes, Add garlic and cook for 1 minute Add spices, chopped tomato and sugar , and cook until the tomato releases its color Add pineapple and let it simmer for another 5 minutes. When you see the red amber color appear, pour this mixture into the simmering soymilk Cover the pot and turn off the heat. It might take about 15 minutes for the soymilk to start forming a soft curd tofu. After another 10 or 15 minutes, add 6 cups of stock and bring it back to simmer again – use low heat so the soft curd tofu will not break Add the fried tofu, tomato wedges , mushrooms, salt and pepper to taste and continue to cook the soup for 15 more minutes. Finally, divide the noodles among soup bowls, top with greens. Ladle the soup and soft curd tofu, a few fried tofu and tomato over the noodles.